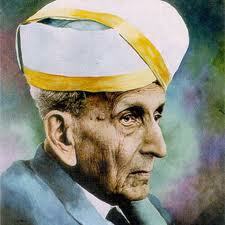 Today 15 Saptember is Sir Mokshagundam Visvesvarayya's Birthday and This Day is Known as a Engineers Day in Celebrate all World. 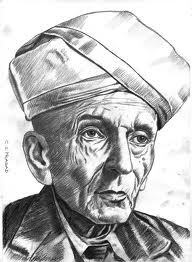 Sir Mokshagundam Visvesvaraya was a popular Indian engineer, scholar, and statesman born in 15 September 1860 at Muddenahalli, Karnataka. He is a recipient of the Bharat Ratna in the year 1955. He was also knighted as a Commander of the Indian Empire by King George V for his multiple contributions to the public good. 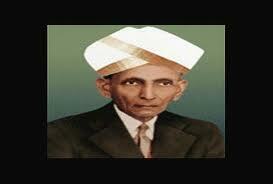 15 September is celebrated as the Engineer’s Day every year in India in his memory. 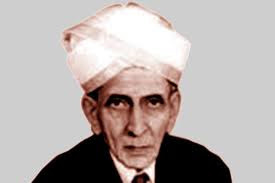 Sir M. V was born to Srinivas Sastry and Venkachamma. His father was a Sanskrit scholar and an authority on the Hindu scriptures. Sir M. V’s ancestors actually recognized from village of Mokshagundam near Giddalur in Andhra Pradesh. They had migrated to Mysore start three centuries ago. He used Telugu language. He lost his father when he was just 15. The family was a reside at Kurnool of Andhra Pradesh when this happened to them, and they again moved back to their old village in Muddenahalli. He attended primary school at Chikkaballapur and high school in Bangalore. He finished his degree from Madras University in the year 1881; and he finished his civil engineering at the College of Science, Pune. After graduated as engineer, he works for the Public Works Department (PWD) of Bombay, and later he was invited to join the Indian Irrigation Commission. He started an extremely elaborate system of irrigation in the Deccan area. He also designed and clear cut a system of autonomic embankment water floodgates which were first installed in the year 1903 at the Khadakvasla reservoir near Pune. These gates were employed to raise the flood supply level of storage in the reservoir to the highest level likely to be attained by its flood without any damage to the dam. On the successful of this project, the same system was installed at the Tigra Dam in Gwalior and the Krishnaraja Sagara (KRS) Dam in Mandya. He achieved celebrity status when he designed a flood protection system to protect the city of Hyderabad from floods. Sir M. V. supervised the construction of the KRS Dam across the Cauvery River from concept to inauguration. This Dam created the biggest reservoir in Asia at the time. 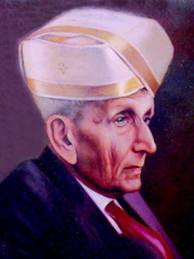 He was rightly called the “Father of Modern Mysore State” .During the time of his services with the Government of Mysore state, he was responsible for the founding of the Mysore Soap Factory, the Parasitoide, the Sri Jayachamaranjendra Polytechnic Institute, the Mysore Iron & Steel Works (now called Visvesvaraya Iron and Steel Limited) in Bhadravathi, the Bangalore Agricultural University, the State Bank of Mysore, The Century Club, Mysore Chambers of Commerce and other several ventures. He was also instrumental in charting out the plan for construction of road between Tirumala and Tirupati. He retired in 1908. After his retirement, He left India for a foreign tour and study industrialized nations and then worked for Nizam of Hyderabad. He gives a measure suggestion of flood relief for Hyderabad town. In 1909, he was appointed as Chief Engineer of Mysore State, and in 1912, he was appointed as Diwan or First Minister of the princely state of Mysore. With the support of king of Mysore Krishnaraja Wodeyar IV, he made a contribution as Diwan to all round development for the state. Not only the Krishnaraja Sagara Dam and Reservoir, the steel works at Bhadravathi, the Sri Jayachamarajendra Polytechnic Institute at Bangalore, the University of Mysore, Bank of Mysore Limited (now State Bank of Mysore) at Bangalore Karnataka Soaps & Detergents Limited (KSDL) – Govt Soap Factory  and many other industries and public works owe their inception or active nurturing to him. 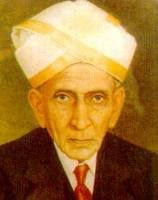 He was instrumental in the founding of the “Government Engineering College” at Bangalore in 1917, one of the first engineering institutes in India. 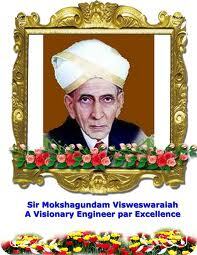 This institution was later named the “University Visvesvaraya College of Engineering” (UVCE) after its founder. It remains one of the most reputed institutes of engineering in Karnataka. He also commissioned several new railway lines in Mysore states. 1904: Honorary Membership of London Institution of Civil Engineers for an unbroken period of 50 years.